There are those amongst the Shias who put a question mark upon the martyrdom of Sayeda Fatima (as) and particularly the details on what happened during the incident of the door. 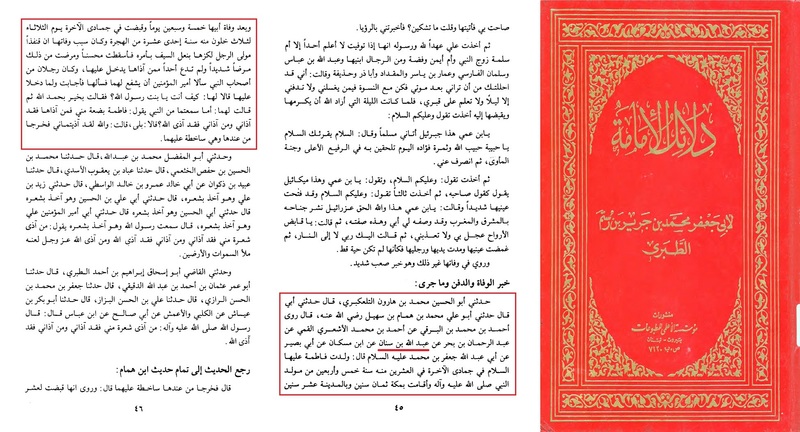 Some claim there is no AUTHENTIC proofs on the martyrdom of Sayeda Fatima (as). This is far from the truth, as we shall examine. This firstly proves Sayeda Fatima (as) died a martyr. This secondly proves that Muhsin had passed away before he was born. 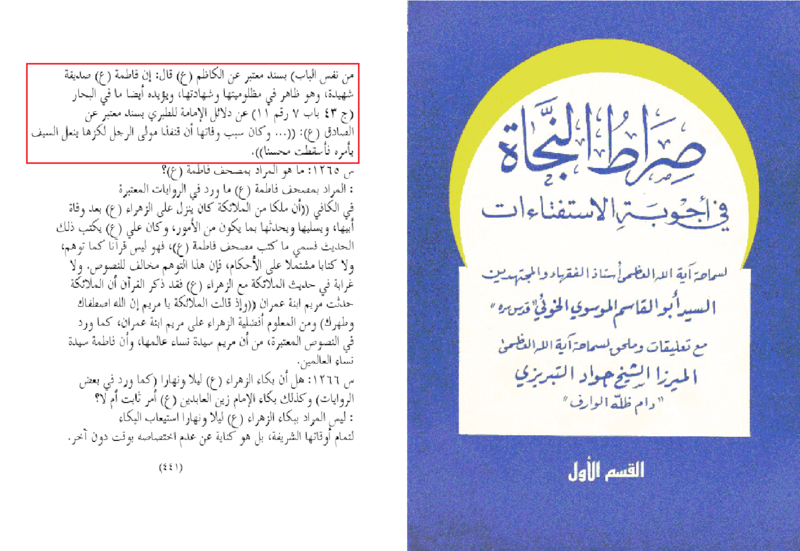 كتاب دلائل الإمامة للطبري: عن محمد بن هارون بن موسى التلعكبري عن أبيه، عن محمد بن همام، عن أحمد البرقي، عن أحمد بن محمد بن عيسى، عن عبد الرحمن بن أبي نجران، عن ابن سنان، عن ابن مسكان، عن أبي بصير، عن أبي عبد الله (عليه السلام) قال: قبضت فاطمة (عليها السلام) في جمادى الآخرة يوم الثلاثاء لثلاث خلون منه سنة إحدى عشر من الهجرة: وكان سبب وفاتها أن قنفذا مولى عمر لكزها بنعل السيف بأمره، فأسقطت محسنا، ومرضت من ذلك مرضا شديدا، ولم تدع أحدا ممن آذاها يدخل عليها. قالا: بلى، قالت: فوالله لقد آذيتماني، قال: فخرجا من عندها (عليها السلام) وهي ساخطة عليهما. Aba Abdillah (as) said: Fatima (as) died on the 3rd of Jamadi al Thani in 11AH. The reason for her desmise was that Qunfudh, the slave of Umar, struck her with the handle of his sword – as per his (Umars) order. So (as a cause) Muhsin was miscarried, and Fatima (as) became extremely sick. She did not allow anyone from those who hurt her to enter upon her. 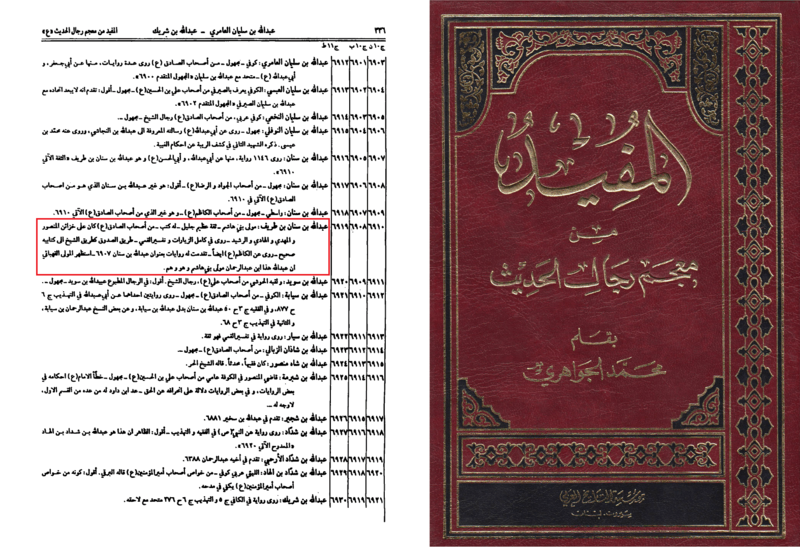 Grading: Above (Second Image) al-Majlisi says the primary source of the hadith, the book Dalaa’il al-Imamah, is a reliable book and reached him through reliable chains. As for the hadith itself, some try and cloud the reliability of this hadith by putting a question mark upon one of the narrators in the chain. All of those who narrated are reliable (Thiqah) without a doubt except one: ibn Sinan. On the first level, there is discussion on which ibn Sinan this is, as there is two possibilities. 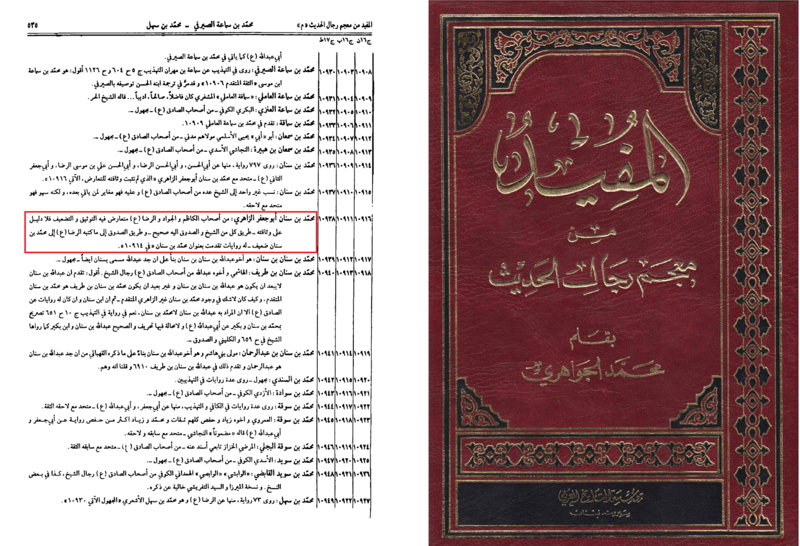 If it is Muhammad ibn Sinan, the rijalists are split on the reliability of this narrator. 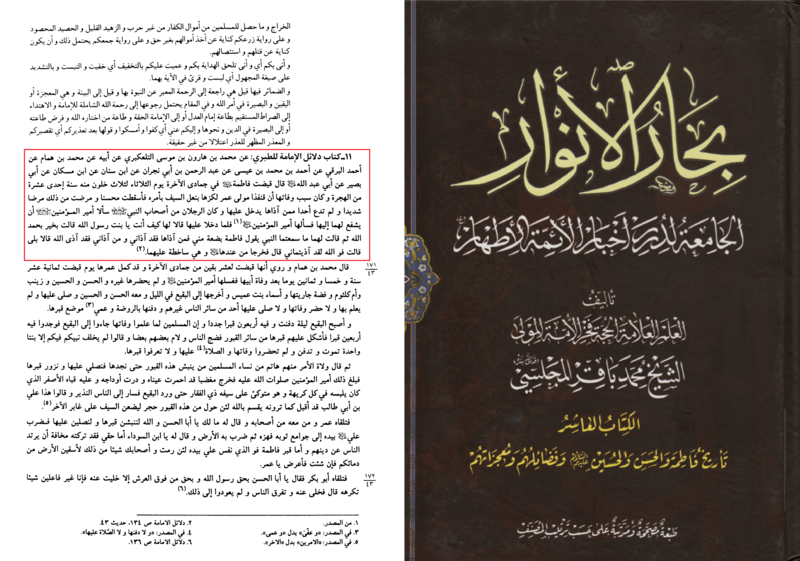 For example, Sayed al-khoei says the opinions differ but he found no solid proof in him being reliable [al-Mufeed min Mu’jim Rijal al-Hadeeth (See Image below)]. On the other hand, others like Sayed Kamal al-Haidary consider him Reliable (Link), hence the hadith would be Sahih. Similarly Sayed al-Rohani says he is reliable (محمد بن سنان … وهو وان كان ضعيفا على المشهور، الا ان الاظهر اعتبار روايته) (Link). On this basis, there would be differing opinions on the reliability of this hadith. However, if it is Abdullah bin Sinan, there is no doubt about his reliability. Sayed al-Khoei states he is extremely reliable and dignified. [al-Mufeed min Mu’jim Rijal al-Hadeeth (See Image below)]. Now the question arises which ibn Sinan is it? 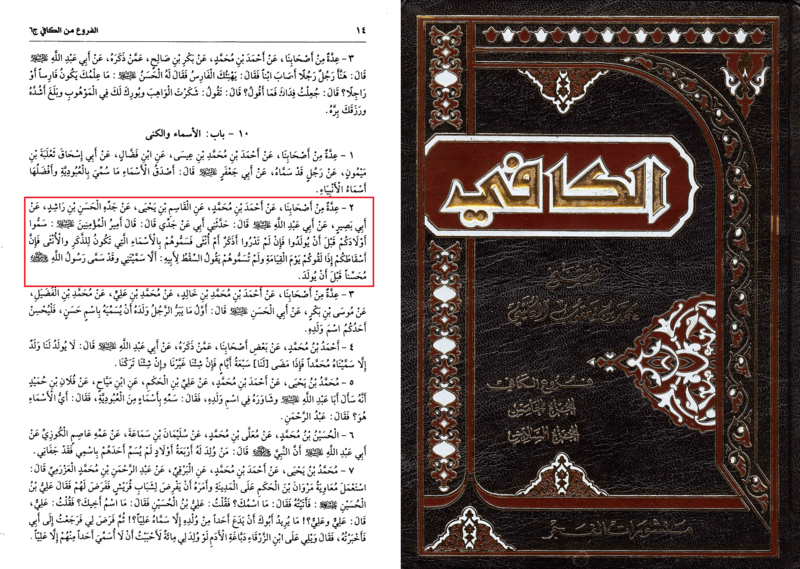 If we return to the original source that al-Majlisi took this hadith from and recorded in his Bihar, we find the answer. 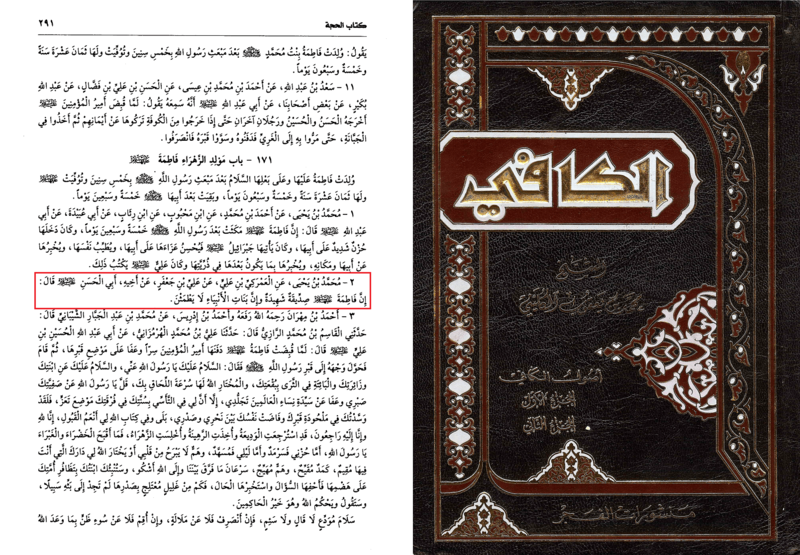 So we see here that without a shadow of a doubt this hadith is authentic based upon all the scholars of Rijal. Therefore, this hadith is Sahih. 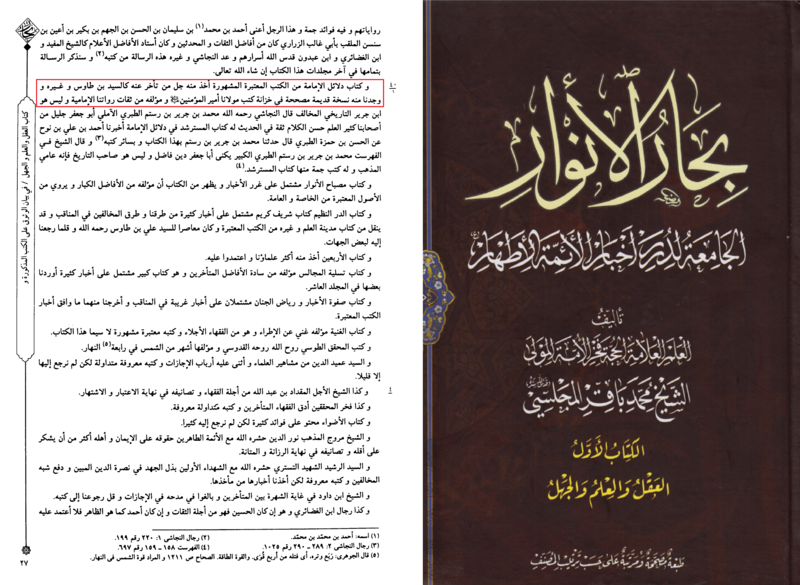 To testify to this, Sayed al-Khoei states it is a reliable hadith in Siratul Nijaat Question 980 (See Image below). Sayed Kamal al-Haidary, Jawwad al-Tabrizi, Ja’far Murtadha al-Amuli and Shakh Abbas al-Qummi also say it is reliable. 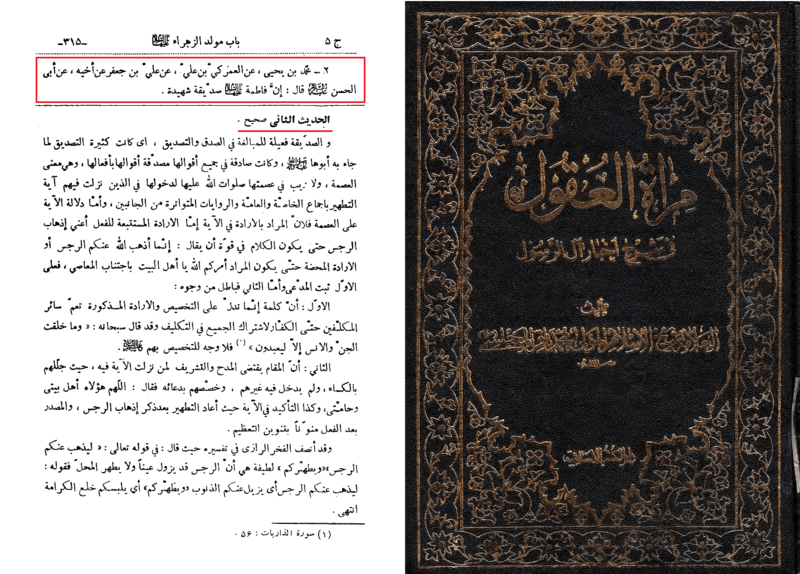 So we see in conclusion the combination of hadiths prove without a doubt using authentic proofs that Fatima (as) and Muhsin (as) were killed as a result of Qunfudh’s attack from the orders of Umar, backed up by a plethora of other hadiths in our reliable books.